Our elementary students enjoy an introduction to handbells through the use of BoomWhackers®. These plastic tubes may look like they are only toys, but they are actually a valuable tool in introducing students to handbells. Each tube has its own tone and can be played in rhythm to any song. We have 2 full octaves students use as they learn to read music, practice timing, and learn to play in a group. BoomWhackers® are nearly indestructible – making them a great learning tool in the music education! 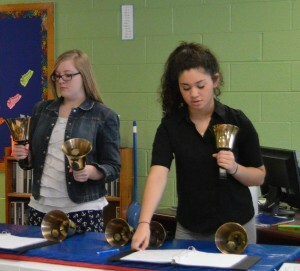 Lake County Baptist School is excited to announce the addition of handbells in the 2014-2015 school year! Students have the opportunity to play all 4 octaves of handbells. 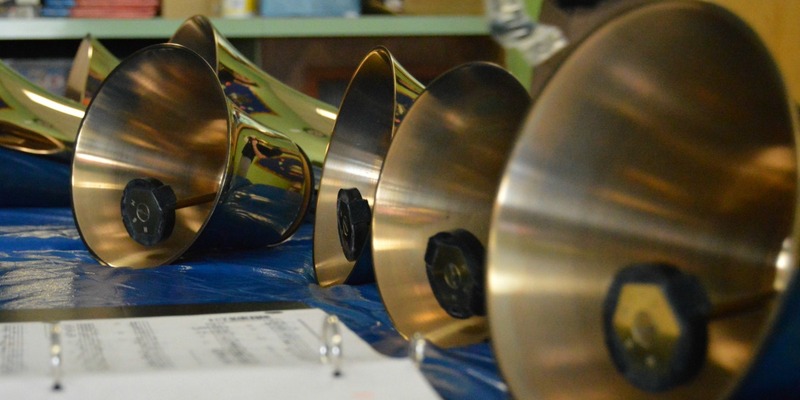 During the handbells class, the students will learn basic handbell techniques such as proper ringing, malleting, and plunking. Students will learn to play in exact rhythm while learning team work and diligence. Students learn a mixed repertoire of sacred and secular music. We are excited to compete in the IACS Fine Arts Competition for the first time this year.